This is the largest collection of wedding photography tips to ever be assembled on one page of the Internet. My hands hurt from typing it, but you can help to ease my pain by sharing this on Facebook and Pinterest after you're done gorging yourself on these wedding photography tips. Thanks to the awesome group of photographers on the Improve Photography Facebook Page who pitched in with tips to help me get to 68. I've credited each of them in the article. You're going to walk like you wouldn't believe as a wedding photographer on a wedding day. Sure, the Stilettos might look good at the wedding reception, but you'll be the grumpiest wedding photographer on the planet. Wedding Photography Tip #2: Take out Uncle Bob early with a sharp elbow to the stomach! Some couples are very serious about the tradition of the groom not seeing the bride before the wedding day. I like to sit couples down and explain that I really NEED at least an hour just with the couple (nobody else in the wedding party) in order to get a decent album together. Once they realize that they need to commit to this much time and see they can't fit it in the wedding day plans, they are usually open to doing a shoot the day before the wedding all dressed up. It gives the bride a chance to try her hair and makeup out, and you'll have unlimited time with the couple to nail the wedding photos. 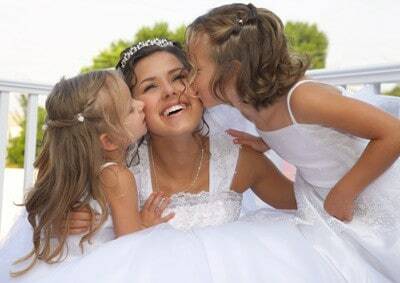 Don't miss the bride with her siblings–including the little ones! More than any other complaint I hear from brides is that the photographer missed getting a certain photo (such as the bride with her high school roommate, her little sister in the pink dress, etc). The best way to avoid this is to simply meet with the bride before the wedding and have her create a shoot list. You can even bring some sample photos (perhaps on an iPad?) to the meeting and have her select a few poses she really wants. Write down the bride's shot list and mark each one off on wedding day. I usually end up with about 15 “must have” shots. If you notice that you aren't getting the bride and groom to relax and interact with each other while you're taking photos, the best thing you can do is to switch to a longer lens (like 200mm) and scoot way back. The couple will naturally begin to interact with each other and you'll be able to get the shot since you're out of their way. This is my favorite way to START a wedding shoot of the couple. By starting far away, they feel like it's just them and they can get used to the camera from a distance. Wedding Photography Tip #6: Get the names! When you meet with your bride to get your shoot list, ask for the name and cell phone number of the maid of honor and the best man. They are usually part of the planning and are important people to be able to call by their first name during the event. Wedding Photography Tip #7: Guess What! Wedding dresses are white. I have personally experienced the horror of a critical equipment failure while shooting a high-dollar event. It is a sickening feeling to see “ERR:99” on the LCD. Fortunately, you can rent a second camera body from Borrowlenses.com for next to nothing. The small price of renting a camera for the wedding is a huge benefit. 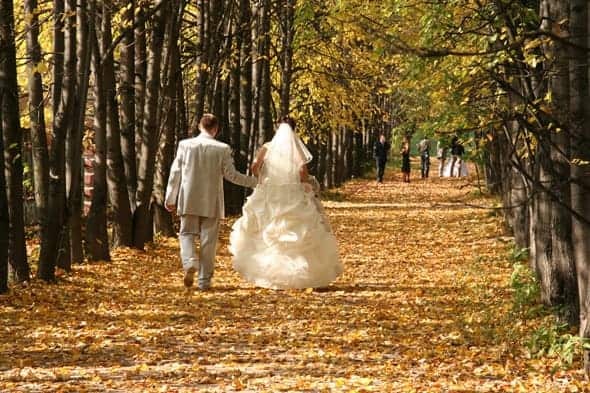 Wedding Photography Tip #9: Rent a second body or lens for speed! Getting two photographers for a wedding makes a big difference in how the day works out! Email a few local photographers who may be starting out and ask them if they would like to trade services for each other. You shoot second for them, and they can shoot second for you. Be sure to communicate well with the bride! Wedding Photography Tip #17: Don't miss the details! Don't miss individual shots of the groom, either! Wedding Photography Tip #19: SLOW DOWN! I often here new wedding photographers brag about shooting over 2,000 photos during a wedding. Every shooter has a different style, but I personally don't see good results when I do this. I usually do my best work when I walk away with fewer shots because it means that I worked methodically and slowly. Wedding Photography Tip #21: If you are taking the photos of the bride and groom on the wedding day, plan on half the time allotted. Wedding Photography Tip #30: Use the environment around the nuptials to the fullest! Wedding Photography Tip #32: Talk with the pastor first! Wedding Photography Tip #36: Grand view, or tight crop? Wedding Photography Tip #40: Pay attention to which kids are whose! Bridals are SOO much fun to shoot! Wedding Photography Tip #41: Skip the bridals and perish! Wedding Photography Tip #44: Attend the rehearsal. Wedding Photography Tip #45: Move it! The reason wedding photography is the very hardest type of paid photography is because you have no time to mess with the camera. It takes experience and skill to know that you have all the technical stuff done right so you can hurry through the event and not miss the shot while you're doing it. Depending on what style you shoot and the couple prefers, bringing a few props like ring boxes, a large empty picture frame, and nice hanger for the dress, can make a big difference. Not only will it help you to get great shots, but it will show the couple that you put some forethought into the event. If you visit the location at the same time of day when you'll be shooting, you'll be able to see what the light is like so you'll know what lighting gear you need at each stage of the wedding. Preparation is key. Wedding Photography Tip #51: Quiet shutter! Some cameras are equipped with a quiet shutter setting. You don't want to fire off 10 frames per second like a machine gun during the “I do” part. Selecting quiet shutter can make the difference. There is something about black and white that gives wedding photos a very classy look and feel. I find that most shots of the reception look better in black and white. You'll obviously want to talk with the couple about what photos they like in color, but don't skip out on the opportunity to use black and white. Wedding Photography Tip #54: Don't miss the train! Wedding Photography Tip #59: Take fun photos too! Take fun photos. It doesn't have to be all serious. Laughter is a wonderful memory. The last one I did was pretty casual. I had the groomsmen and the groom climb a tree and took a wonderful shot. We also did the infamous Charlie's Angel shot of the bride and her bridesmaids. (Thanks Melody Landrum) Also, thanks to Chris Nelson, destination wedding photographer. Submitted some excellent photos from weddings via his site. 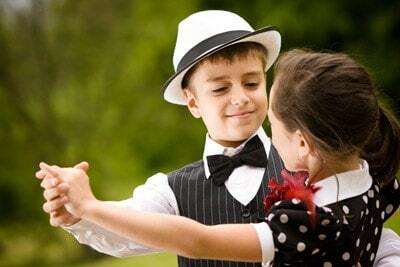 Know ahead of time how formal the wedding will be, and how you fit into the event. Some wedding photographers, like David Ziser, like to wear a suit to every wedding. Other photographers think it is perfectly appropriate to wear slacks and a shirt. Some female photographers wear a dress, and others wear jeans and a nice polo. I wouldn't say that there is one right answer here, but it is worth thinking about beforehand. Wedding Photography Tip #66: Tell the bride to hold the flowers lower than what feels comfortable. It will look better in the photo. I am a total hypocrite of this one, but getting the photos back to the couple soon after the honeymoon shows you're on the ball and care about their photos. Wedding Photography Tip #68: Help another photographer by sharing this post on Pinterest, on Facebook, and on your photo blogs. I appreciate your support! Before you run off, I want to share with you some of my very best Youtube videos. These are all on-location videos where you can see how I'm using the color in sunsets, choosing my compositions, etc. Enjoy, and don't forget to hit subscribe so you can see my future Youtube vids! Subscribe to Improve Photography TV on Youtube! Wedding Photography Tip #69: Address wedding photo retouching services online if you’re not meeting deadlines. Have hundreds wedding photos to retouch but tomorrow you will have another wedding ceremony photoshoot, order basic or advanced photo retouching from online services like WeEdit.photos and receive amazing results in few days. Find time to relax after a long working day and trust the part of your work professionals.